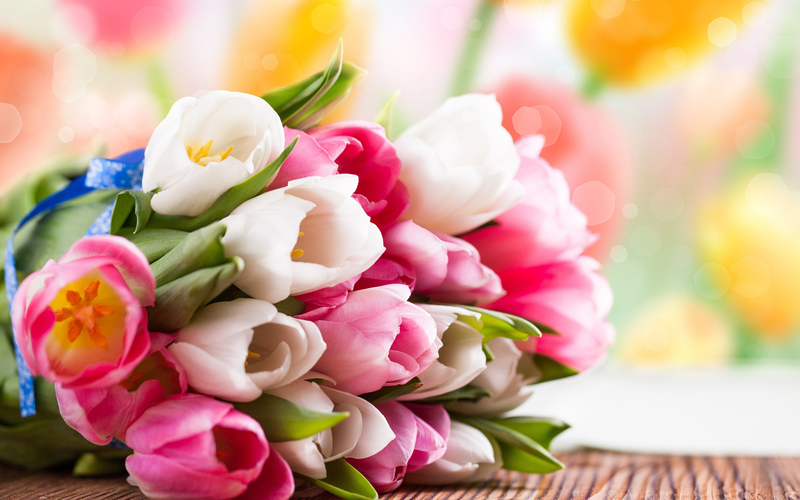 Download Bouquet of White and Pink Tulips in high resolution for free. Get Bouquet of White and Pink Tulips and make this wallpaper for your desktop, tablet, or smartphone device. For best results, you can choose original size to be easily customized to your screen. To set this Bouquet of White and Pink Tulips as wallpaper background on your desktop, select above resolution links then click on the DOWNLOAD button to save Bouquet of White and Pink Tulips images on your desktop computer. Right click on the picture you have saved and select the option "Save image as" or "Set As Background".